For those in search of the perfect Kodak moment on safari, it's important to know what to pack, when to go and what conditions are going to be. Green Season months can change, it all depends on when the rains come, so please enquire before you are due to travel to check what the conditions are. 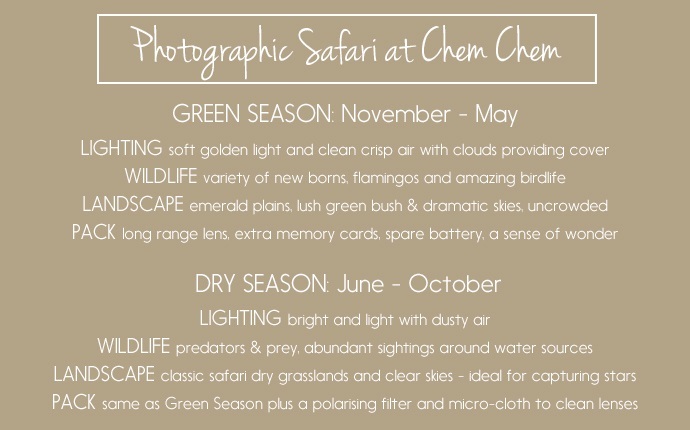 One of our favourite activities at Chem Chem is spending a day with a professional wildlife photographer. They will show you how to make the most of your camera to capture that unforgettable moment in the wild. It may be of a cheetah on a termite mound or a grey-headed kingfisher eyeing its prey. Nothing is too great or small. 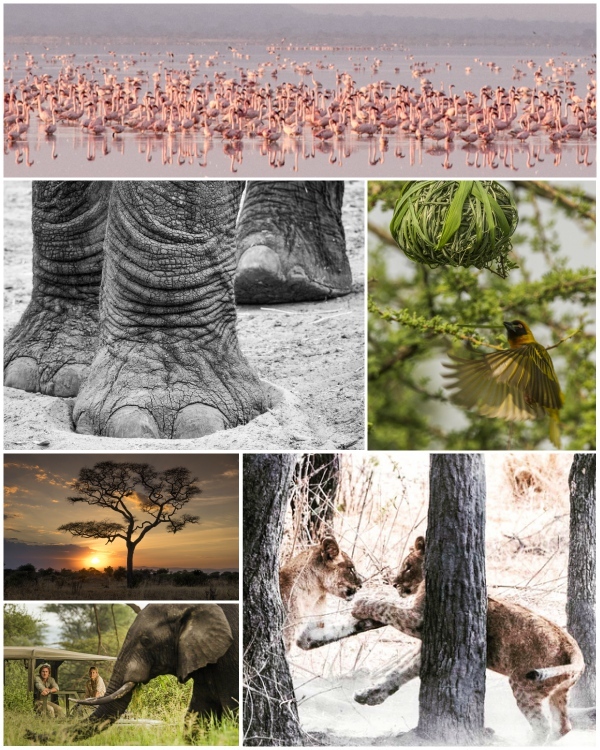 We still have limited space from mid November to 24 December and from 3 January to the end of March for those looking to experience Tanzania in Green Season and especially for those keen photographers! It's always exciting to see your experiences through your eyes - and lens. Thank you for sharing these moments with us.